When one thinks of Europe, what’s the first thing that comes to mind? The tree-lined boulevards of Le Champs d’Elysee? A cold stein of beer in a warm public bar in Germany? How about a snow-capped mountain? No, not the Alps. Well, not just the Alps. 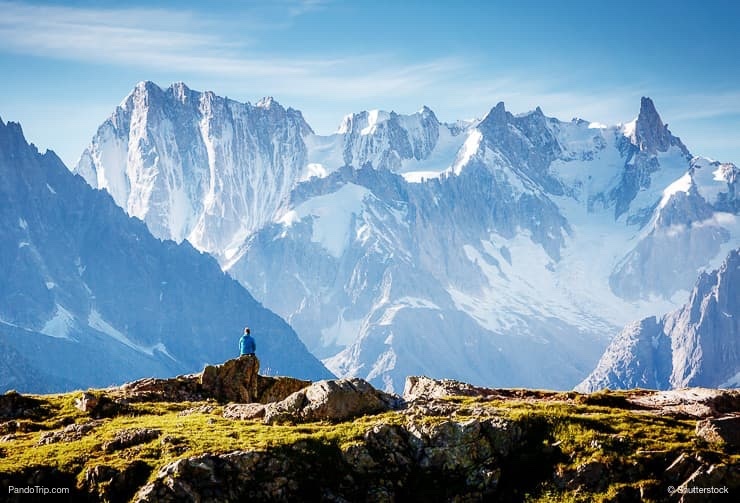 Europe is actually home to a myriad of world-famous, world class mountains, particularly those with impressively high peaks. So, for the adventure travelers who isn’t afraid of a little snow, we’ve compiled a list of the highest peaks in Europe; the ones that should be highest on your list. Though it might be an anticipated choice, when talking European mountains, it’s impossible to avoid mentioning the Alps. 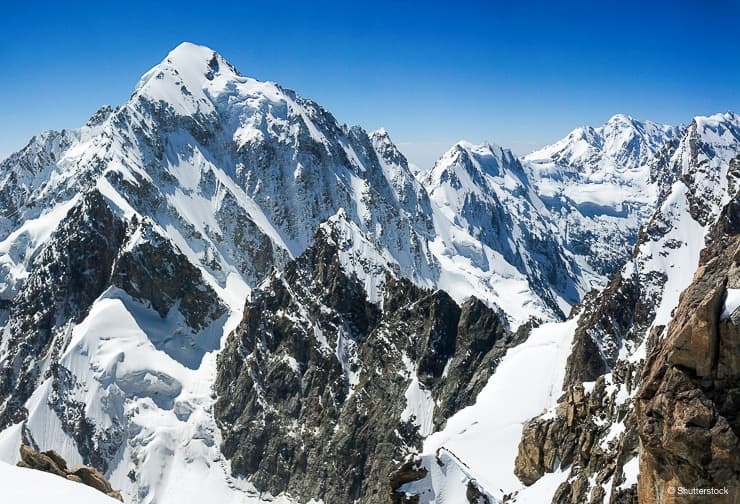 However, those whose pondering of the Swiss Alps has never made it past The Matterhorn and Mont Blanc will be surprised to learn of the majesty of Dom, the third highest peak in the range clocking in at an impressive 4,545 m (or 14,911 ft). It, along with it’s twin, Taschhorn, make for a pretty pair of mountain majesty. Why go there? As far as mountain climbing goes, Dom is actually considered an easy climb, despite its impressive height. 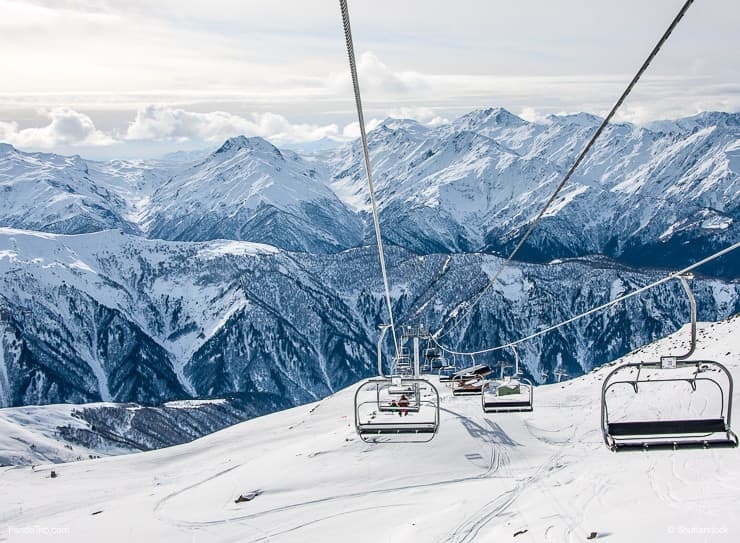 It is also the point of intersection between the main Alps chain and an auxiliary chain running from Schwarzberghorn in the South to Distelhorn, meaning the summit offers impressive views of neighboring mountains peaks. Another treat from the Alps, Monte Rosa is actually considered the highest peak in Switzerland, and the second highest in the Alps, making it a respectably daring choice for any mountain aspiring mountain climber. Dufourspitze, it’s main peak, measures 4,634 m (15,203 ft) and is the subject of many a touristic camera lens point, both from close up and from a distance. But Dufourspitze is only one of many sightly peaks to explore on a trip up Monte Rosa. Why go there? 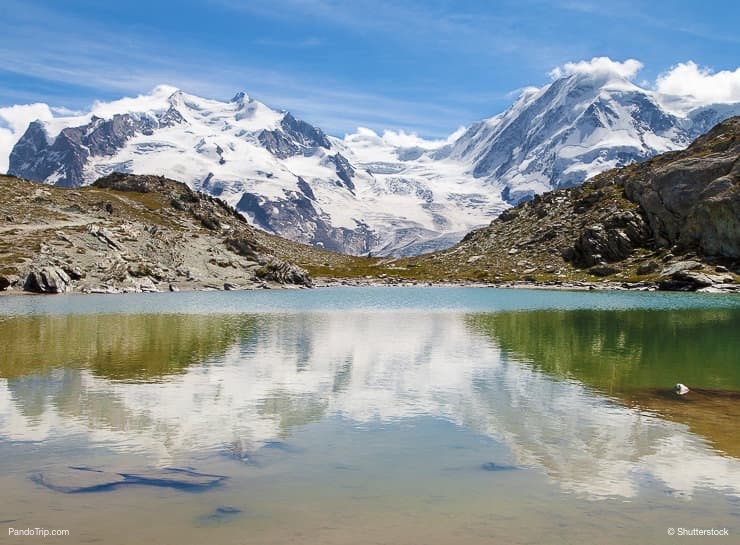 Monte Rosa is snowy year-round, and therefore a popular tourist destination for hiking, skiing, snowboarding, and mountaineering, as well as trekking. A complete trek of the mountain can me completed in about 10 days, but is not for the faint of heart or the cold-fearing, as temperatures can often drop sub-zero, even before sunfall. Located in the Svaneti region of Georgia, near the Russian border, the Georgian Ushba mountain is often called the Matterhorn of the Caucasus Mountains, not for its height (which is impressive at 4,690 m (15,387 ft)), but rather for the truly awe-inspiring nature of its spindly double-summit, which is the subject of many impressive photos. 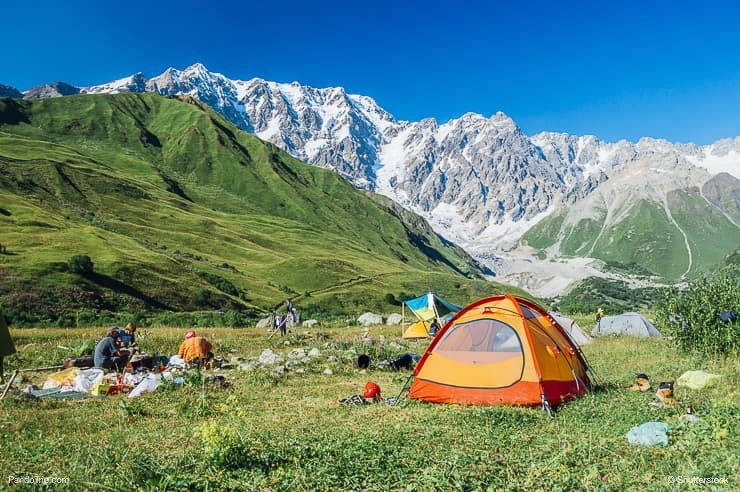 However, Ushba is considered the hardest climb in the Caucasus Mountain Range, with the average climb-time running at over 12 days of exhausting mountaineering, so those pictures can come at a steep cost. Why go there? 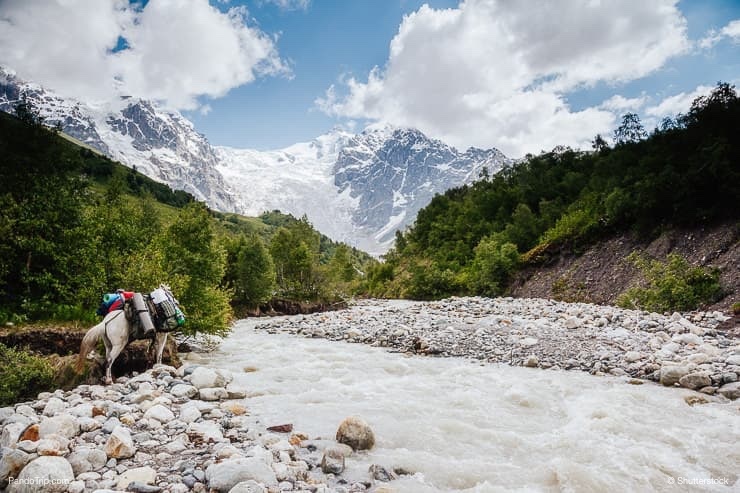 For a true adventure climber or seasoned mountain tackler, Ushba Mountain, sometimes called “The Queen of the Caucasus” is the perfect challenge. Heavy snowfall and impressive year-round storms can make the climb arduous at best and treacherous at worst. Summit of the north peak mountain also technically involves a border crossing into Russia, which is an added bonus for travelers looking to cross another country off their list. 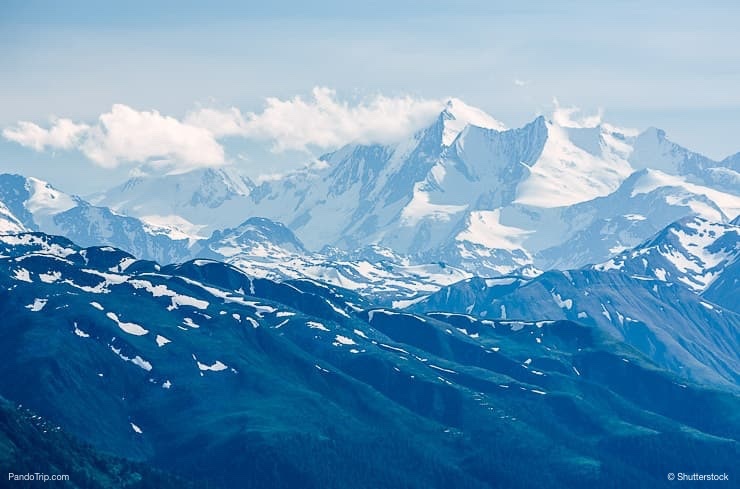 An exhilarating crossroad between France and Italy (though the summit is technically in France), Mont Blanc, Monte Bianco, or “White Mountain” is often cited as the second most famous mountain in the Alps, right after the Matterhorn. It is a stunning 4,807 m (15,778 ft) tall, and the stately views from the top do not disappoint, whether on foot or seen from the comfort of a plane journey from Paris to Milan. Why go there? 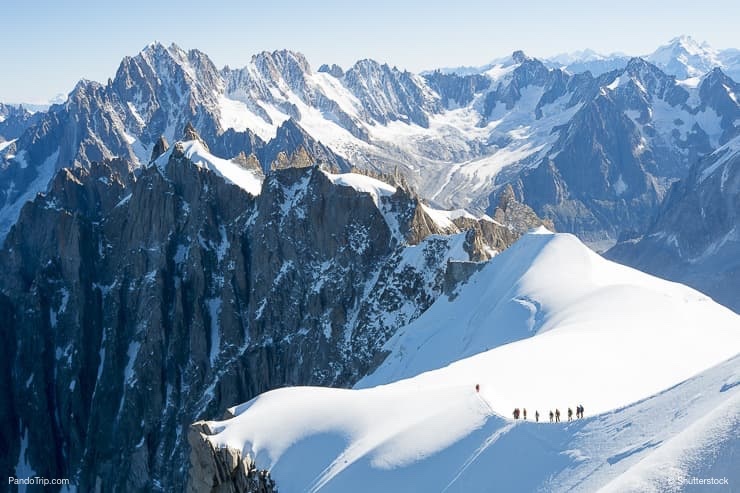 Lovers of winter sports will be impressed by the plethora of skiing, snowboarding and other winter sport adventuring, though the biggest and best way to experience Mont Blanc is, of course, mountaineering. For adventurous ice-climbers, Monte Blanc also features the Mer de Glace glacier, the second longest in the Alps. Tetnuldi is another snow-tipped Georgian charmer located among the mountains of the Greater Caucasus Mountain Range. Its highest peak, Adishi, clocks in at 4,853 m (15,922 ft), and is definitely a sight for sore eyes. 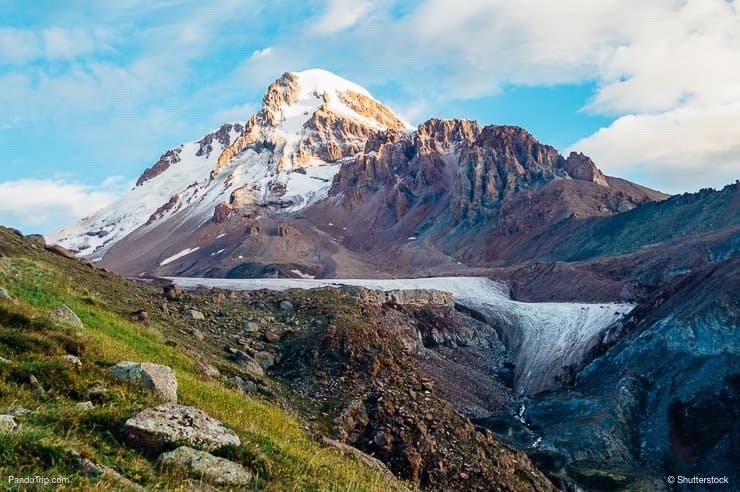 This peak wins Tetnuldi the title of the 10th highest peak in the Caucasus as well as grants it some absolutely stunning views of its neighbors, including Mount Elbrus, and the tiny town of Mestia. Year round blanket of powder fresh snow makes it an appropriate home to many new and up-and-coming ski resorts. Why go there? 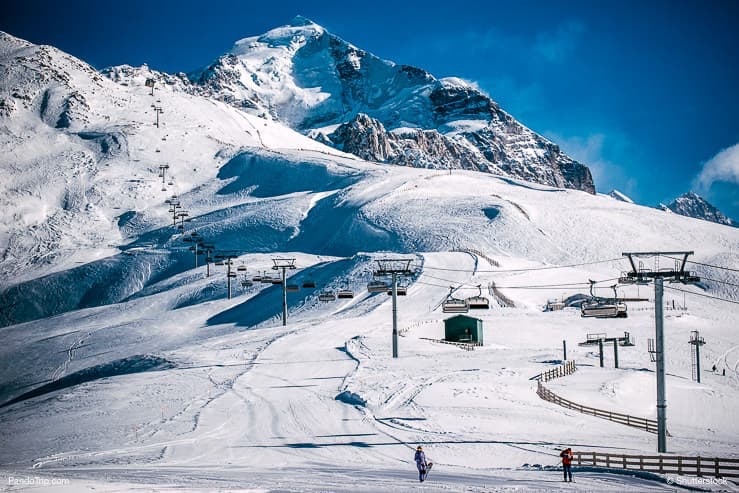 Those who love skiing will be pleased at the array of new ski resorts popping up on and around Tetnuldi, granting it greater accessibility and enjoyment as a touristic destination. However, once hitting base camp, camping is the only option for those wishing to summit the peak. And be careful, because Tetnuldi’s icy climes make it a considerably more difficult trek than other mountains in its height range. The third Georgian charmer on the list, Mount Kazbek (also known as Stepantsminda) is actually a dormant subclass of volcano known as a stratovolcano, as well as a part of the Caucasus Mountain Range. Its volcanic status has earned it the name “Molten Mount” in local tongues. 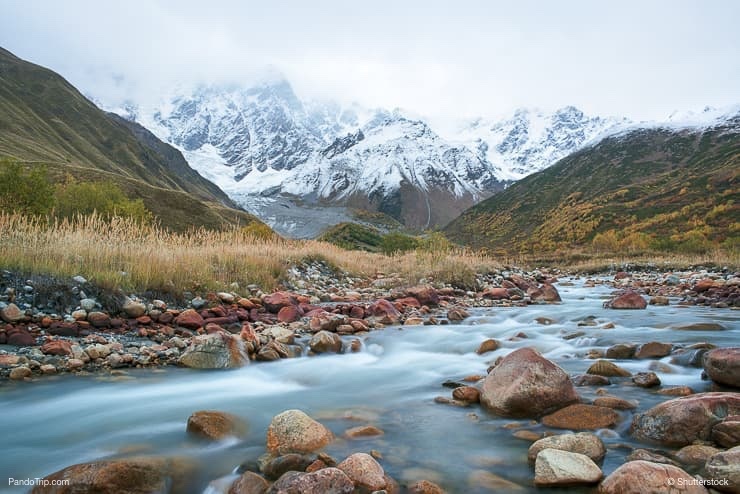 Kazbek is considered the third highest peak in Georgia, at a height of 5,047 m (16,558 ft), but only the seventh highest in the Caucasus system. 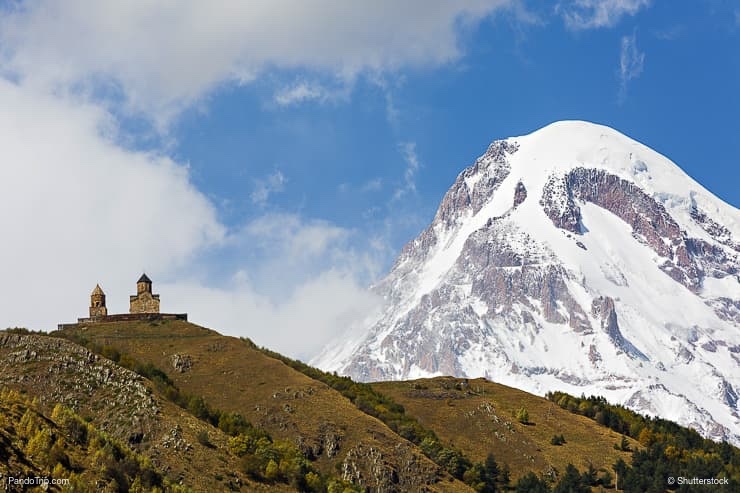 Though it’s a true feat to climb it, Kazbek’s commanding presence can also be enjoyed safely (and while sipping hot chocolate) from nearby Stepantsminda Village. Why go there? 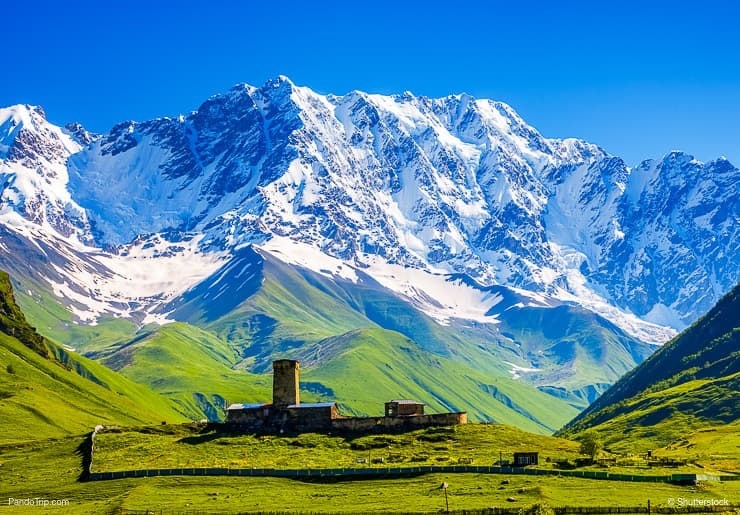 Mount Kazbek is considered the crown jewel and main site of the Kazbegi National Park, official designated in 1979 and home to an abundance of alpine meadows and beech tree forests, making it a lovely destination for mountain climbers and nature lovers alike. However, unpredictable weather makes for a potentially treacherous and harrowing climb, so aspiring mountaineers should be careful as and well prepared for the adventure of a lifetime. Moving across the border into the Russian section of the Caucasus, there is the Koshtan-Tau mountain, with a height of 5,144 m (16,877 ft). 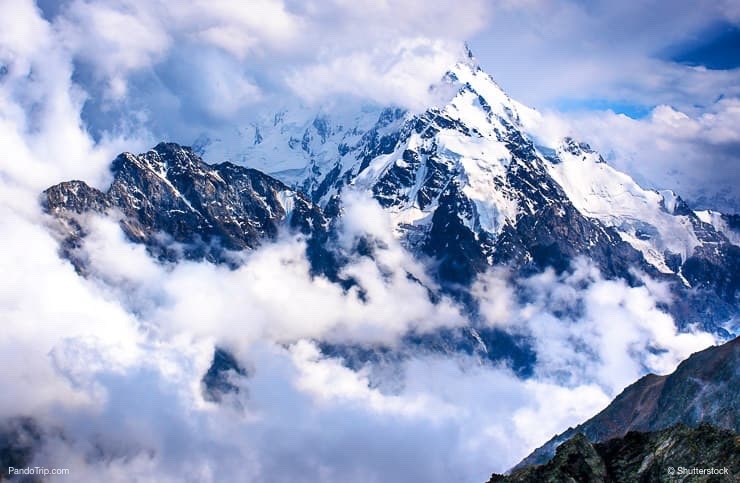 Though technically considered a massif, meaning there are several separate peaks on the mountain, the Koshtan-Tau is the only to go above the impressive 5,000 meter mark. 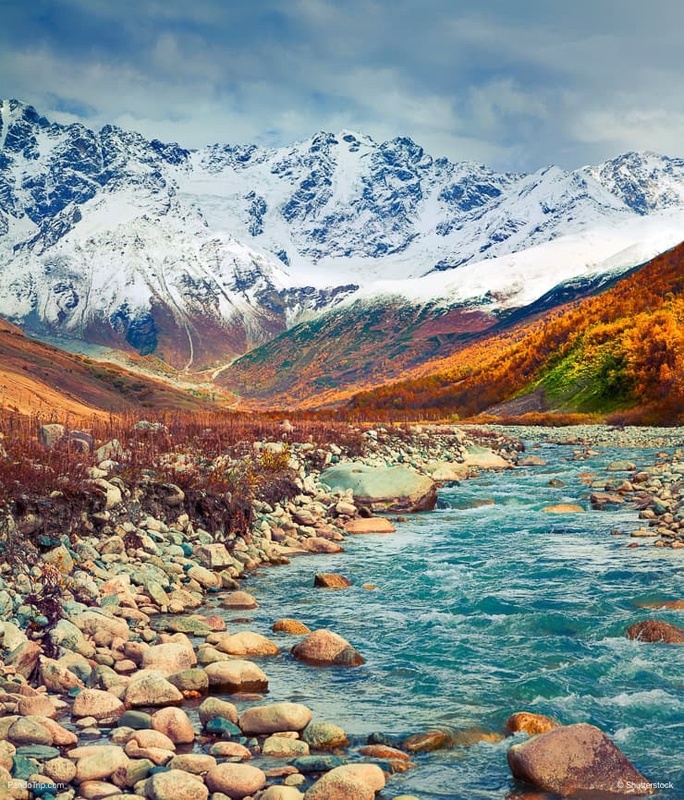 Located near the Georgian border, the mountain’s Russian steep altitude and Northern-hemisphere location means there is snow year-round, making for some particularly scenic wintertime-all-the-time vistas. Why go there? Since its discovery and first climb in 1889, the mountain has remained rather remote and not a particularly popular climb, making it an advantageous trek for those interested in venturing into relatively unchartered territory. However, travelers will be pleased to note that routes of many different terrains and difficulties exist, from easy rock routes to treacherous traverses. 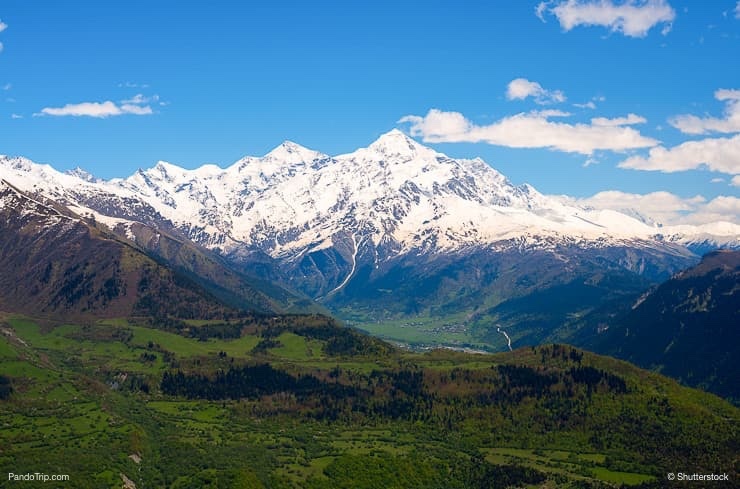 Another Georgian summit of the Svaneti Caucasus region, Shkhara is simply another stunning, snow-topped peak, and in fact, Georgia’s highest summit. The highest point is a 12 km (7.5 mi) ridge known as Bezingi, which is 5,201 m (17,060 ft) high. Shkhara was first summited in 1888, and is not considered an easy climb by any means. 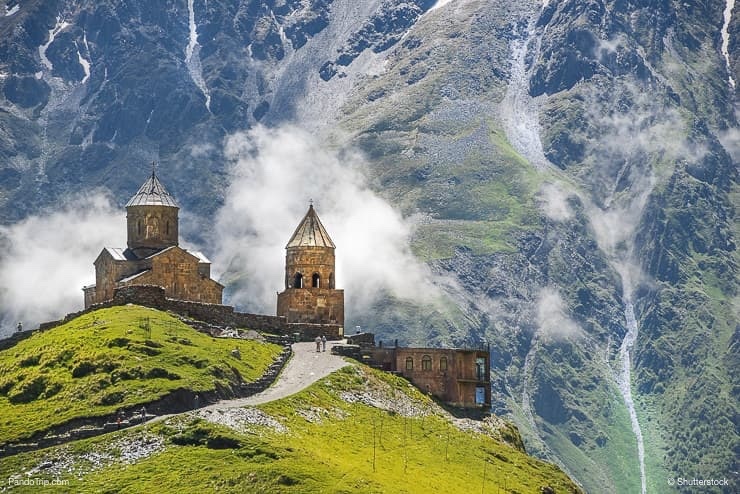 However, aspiring climbers dissuaded by the challenge may be equally charmed by Shkhara’s local Georgian village, Ushguli, which is an official UNESCO World Heritage Site. Why go there? Shkhara is a high-risk, high reward kind of climb. The high levels of snow year round and treacherous rocky, steep mountain terrain dissuade many novice and even expert mountain climbers, and the completion of the entire Shkhara-Benzingi Wall is known as one of Europe’s most difficult climbs. Those who tough it win both commanding views and bragging rights. Though journey times vary widely, skilled climbers can complete a Shkhara trek in 6 or 7 days. 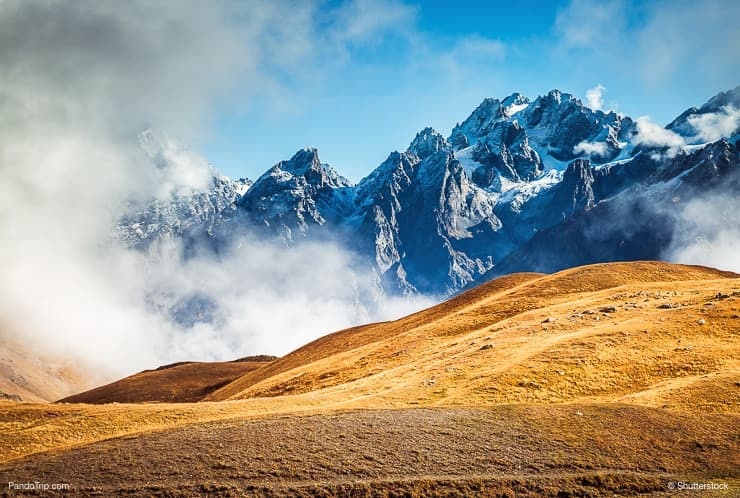 If this article doesn’t prove that the mountain range with the highest capacity for awe-inspiring peaks is indeed the Caucasus, not the Alps, nothing will. Dykh-Tau (also called Dikh Tau or Dycktau) is known as “jagged mount” in Turkic, and is aptly named, if we do say so ourselves. 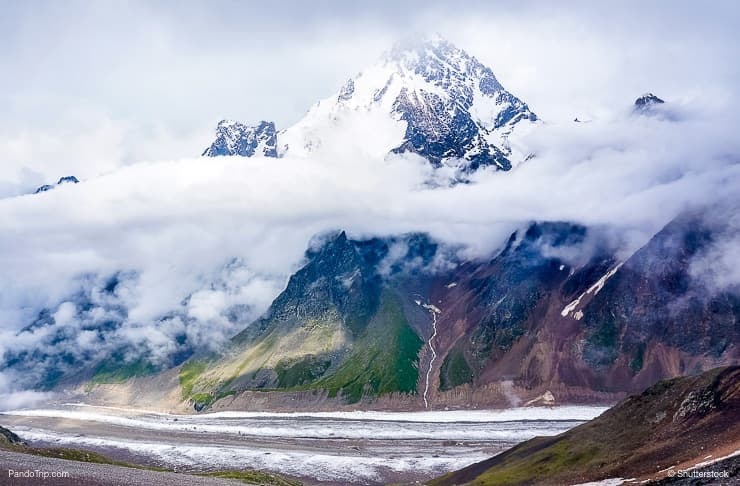 This second highest peak of the Caucasus Region is located in Russian territory, and known for the technical difficulty created by its jagged terrain and the frequent avalanches they cause. It is a truly steep 5,205 m (17,077 ft) at its highest point, and offers absolutely stunning views from its peak. Why go there? This mountain, like so many of the others in this range, presents a challenging climb for true adventurers with no “beginner” or shortcut summit. Climbing takes an average of 13 days camping on the mountain, which can quickly stretch into more due to the challenging nature of the climb. Mountaineers, be sure to pack accordingly and choose wisely between the bitterly cold winter, and the summer when the rocks are out their roughest. 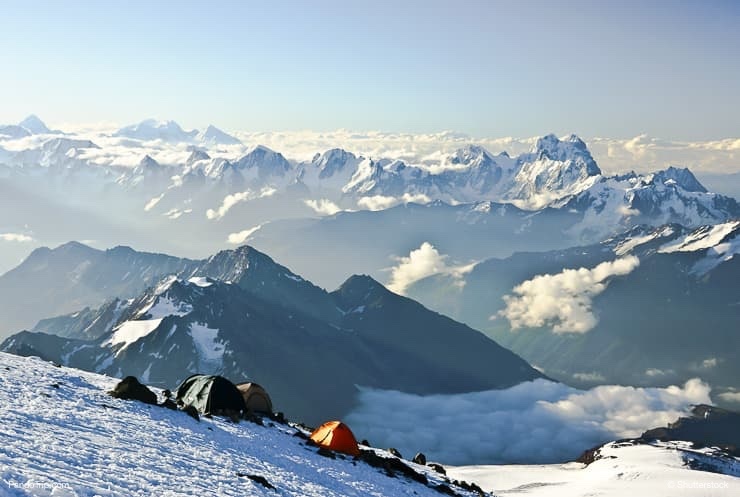 Topping our list is the impressive Mount Elbrus, of the Caucasus Range in Russia (Eat your heart out, Matterhorn). Mount Elbrus is, of course, the highest peak in Europe, making it one of the world’s “seven summits.” The mount itself clocks in at the tenth most prominent in the world, with a stunning figure of 5,642 m (18,510 ft). Toe the surprise of many, Elbrus actually consists of two main peaks, both dormant volcanoes, stretching to the West and East. But lava-shy climbers, have no fear! The last eruption was in the year 50 CE. Why go there? Despite its impressive size, Mount Elbrus has been fairly well carved out for travelers, making it an easier summit than many of the other giants on our list. The ascent can be aided by chairlift, and generally can take as little as eight hours. However, that doesn’t mean that the climb can be made by anyone, as it tops not only this list, but several lists of the most dangerous mountains in Europe. Adequate planning is important to ensure that these absolutely once in a lifetime views don’t come at the cost of one’s life.